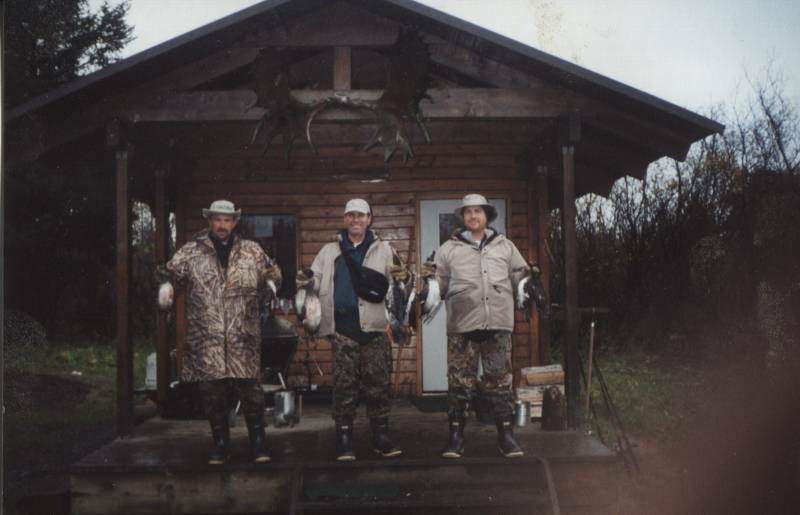 Wilderness Enterprises offers the finest wing shooting Alaska has to offer. Our many years of experience will give you a custom trip never to be forgotten. 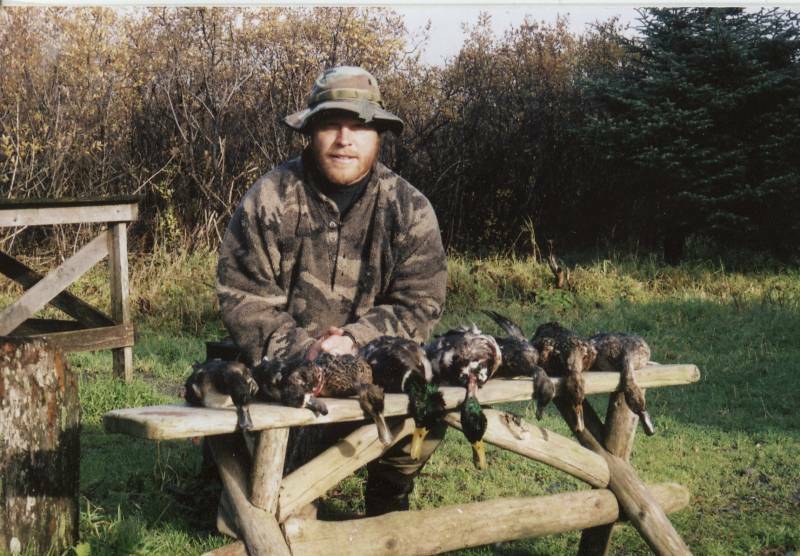 Trips take place in Southeast Alaska where the Pacific fly-way narrows to a five mile streach of coastal habitat that funnels thousand of migrating waterfowl each year. 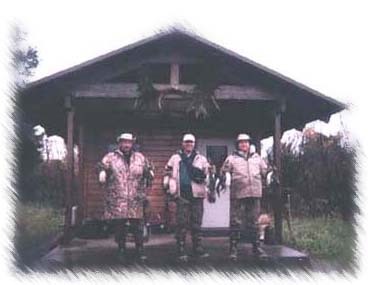 Comfortable streamside cabin accommodations on this fully guided trip. 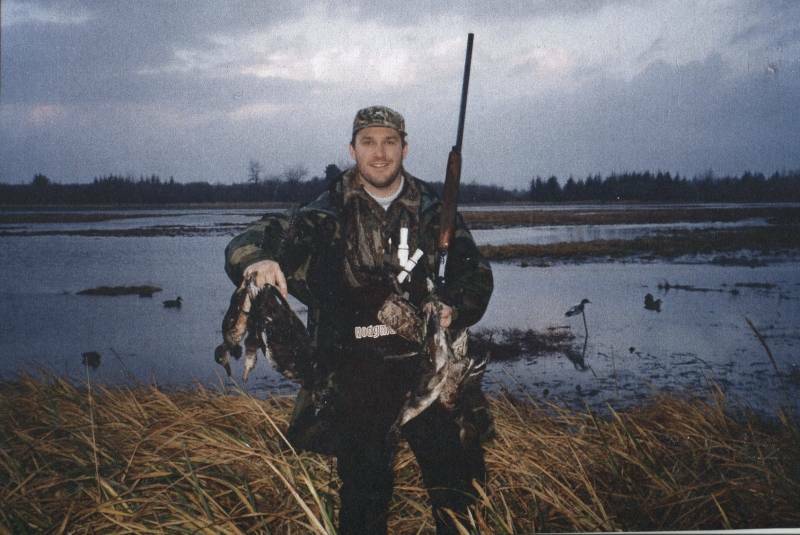 One of the biggest thrills on this hunt is the wide variety of waterfowl encountered. Northern Shovler, Pintail, Widgeon, Greater Scaup, American Goldeneye, Mallard, Gadwall, Harelquin, Green-winged Teal, Lesser Scaup, Barrows Goldeneye, Old Squaw, Bufflehead, Common Merganser, Black Scoter, Surf Scoter, Ring-necked Duck, Hooded Merganser, Red Breasted Merganser, White-winged Merganser, Canada Goose, Snow Goose. 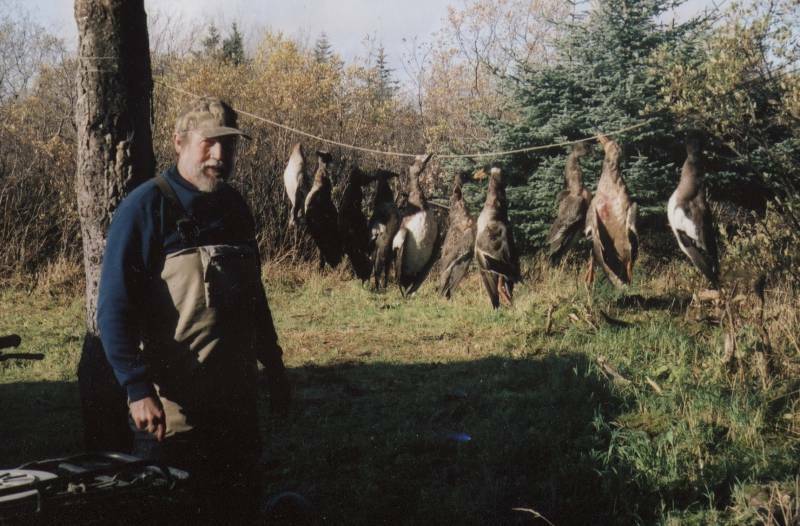 Hunts start the second week in October and run through the end of November.